Apple (AAPL) may soon jump into the gaming space. According to a report by Cheddar, the iPhone maker is working on a subscription service that would charge users a recurring fee to access a selection of video games. There are still a number of unknowns when it comes to the reported service including what kinds of games it will feature, whether it will focus solely on mobile titles, and how much it will cost. The move, however, is important for two reasons: It would give Apple yet another service to lean on as it turns its attention to building up that side of its business to offset the slowdown in iPhone sales growth, and it illustrates how gaming is becoming an increasingly important business for more tech companies. Apple's iPhone is the centerpiece of its empire. Without it, the company likely wouldn't be the dominant force it is today. But as iPhone sales growth has begun to flatten, the company has pushed for its services business to take over as its next great driver. With roughly 2 billion iOS devices shipped worldwide, Apple has a massive built-in user base for its services. In fact, in 2017, Apple CEO Tim Cook said he wanted to double the services business by 2020. In Q4 2018, the company reported services revenue of $10 billion. That puts Cook's goal of roughly $14 billion per quarter from services well within reach. Apple's services business is currently made up of iTunes, the App Store, Apple Music, iCloud, and Apple Care. A planned streaming video service could add a significant boost to services, while a gaming offering could push the sector even higher. 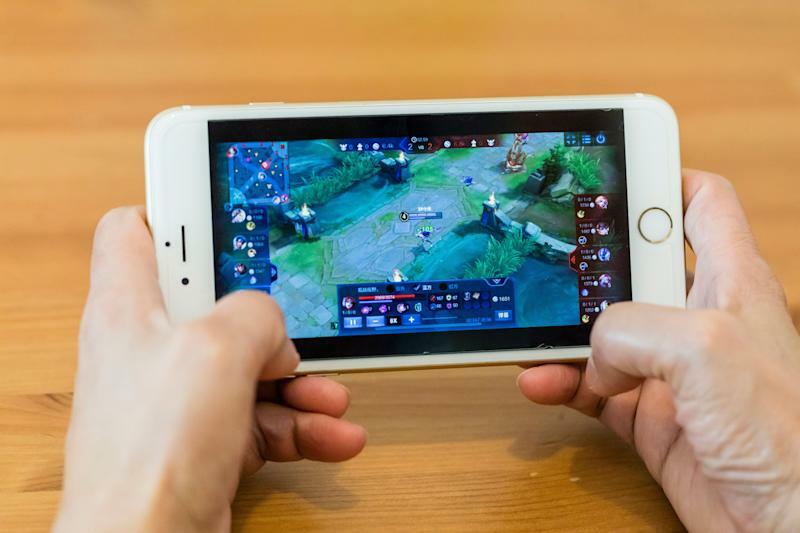 The video game industry has seen immense growth in recent years thanks, largely, to the launch of mobile smartphone and tablet games. Traditional console and PC games have also seen a boost, but mobile has certainly led the charge. According to gaming industry analytics firm NewZoo, the video game market will hit $150 billion in 2019 and could reach $180 billion by 2021. In comparison, Grand View Research says the global streaming video market will only touch $125 billion in 2025. Apple's offering could connect users to a library of games they can download for a monthly fee, or operate as a kind of cloud gaming service in which you can play games that would otherwise require a high-end PC or console on your smartphone or tablet. Apple, of course, isn't the only company looking to capitalize on the growth of the gaming industry. Nvidia (NVDA), Microsoft (MSFT), Sony (SNE), Google (GOOG, GOOGL), and Verizon (VZ) are just a handful of the tech industry giants that offer or are developing subscription game services. Subscriptions might not be the only way companies earn revenue through streaming services. As games like "Fortnite" have shown, gamers are willing to pay mountains of cash for in-game add-ons. If Apple can develop a model in which it takes a cut of those add-ons for games offered through its subscription service, it could be looking at a heck of a windfall. Apple will have to tread lightly if it enters the streaming arena, though. More companies are willing to break with the iPhone maker to ensure they don't have to pay up a percentage of their sales to Apple. Case in point: Netflix (NFLX) and Spotify (SPOT) recently cut off new users from subscribing to their services through Apple's App Store. Instead, you can download the app from Apple, but must register your account through the companies' own websites. If the game streaming service is going to take off with major developers, Apple will have to ensure it keeps them happy.